The Colorado Avalanche have some tough decisions to make regarding their blueline — here’s a look at what the pairings may look like next season. There are tough times in Colorado Avalanche territory right now, and the defensive issues are the subject of the most prominent woes. Forwards are being shopped, the holes are evident, but the chances of filling those holes seem distant. I’ve already detailed what next season’s forward lines may look like in another post, and it’s time to check out the defensive pairings. It’s obvious that Joe Sakic needs to make some moves at the deadline to secure the future of this team, but what will those moves end up looking like? 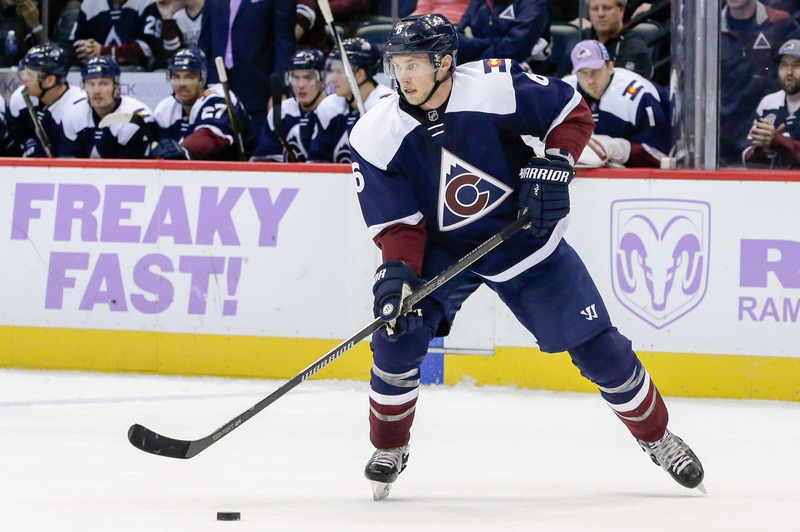 Will the Avs be able to acquire that top-pairing defenseman they are looking for? And, if so, what will the cost be? I’m dealing in hypotheticals here, but there is reason to believe in a solidified Avalanche blueline next season, so let’s delve deeper. Who Will the Avs Hold Onto? Right now, the Colorado Avalanche have a wealth of up-and-coming prospects from their blueline ranks. They also have two really good defensemen that they can build their blueline around. Nonetheless, at least one of those elite defensemen must go in the service of the future, so let’s take a look at who the Avs will likely hold onto from this year’s blueline. Tell me why they would hold onto anyone else? Even Erik Johnson is a risk because he can’t stay healthy for a full season, and he’s aging. Still, he’s obviously the Avs’ best defenseman, and he would be a great teacher to any young left-hander trying to solidify a role as the No. 1 defenseman. 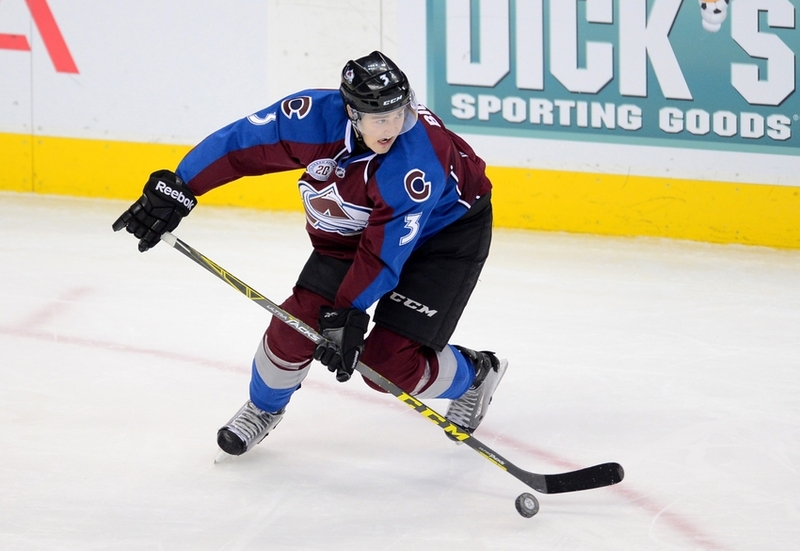 The Avs will obviously hold onto Nikita Zadorov as well because his future is bright. Beyond that though, contracts will expire, and trades need to be made. The Avs are by no means stocked at the forward position, and Tyson Barrie could fetch a nice return in the top six. Patrick Wiercioch has a contract that is going to expire, and he should not be re-signed. Fedor Tyutin and Cody Goloubef are in the same boat. And, the Avs obviously have no interest in re-signing Eric Gelinas because of how many times he has been placed on waivers this season. Nicolas Meloche and Chris Bigras figure to make the jump to the NHL soon as well. If Meloche joins sooner rather than later, he can find a way into the role vacated by a Barrie trade. Chris Bigras is also a reliable option in the top four. Nonetheless, the Avs have depth on the left-side, and could use Bigras as a bargaining chip in a trade for a better left-handed defenseman. It’s no secret that the Carolina Hurricanes present the most viable trade partner for the Avs. They have a wealth of left-handed defensemen for the Avs to target. And the names include: Noah Hanifin, Haydn Fleury, Jaccob Slavin, Justin Faulk, and Jake Bean, among others. My favorite out of the list is Jaccob Slavin. 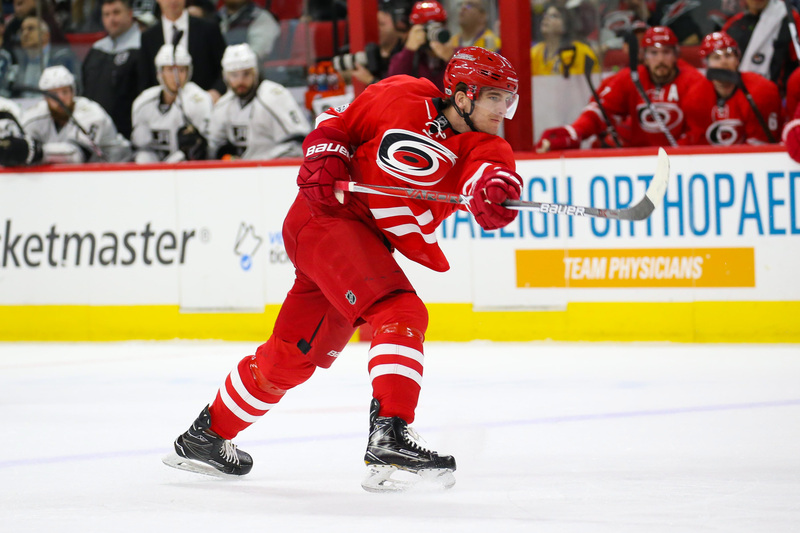 He is a Colorado native, and is quickly becoming one of the most reliable defensemen on the Hurricanes’ roster. He is also one of the most reliable young defensemen in the game currently actually. 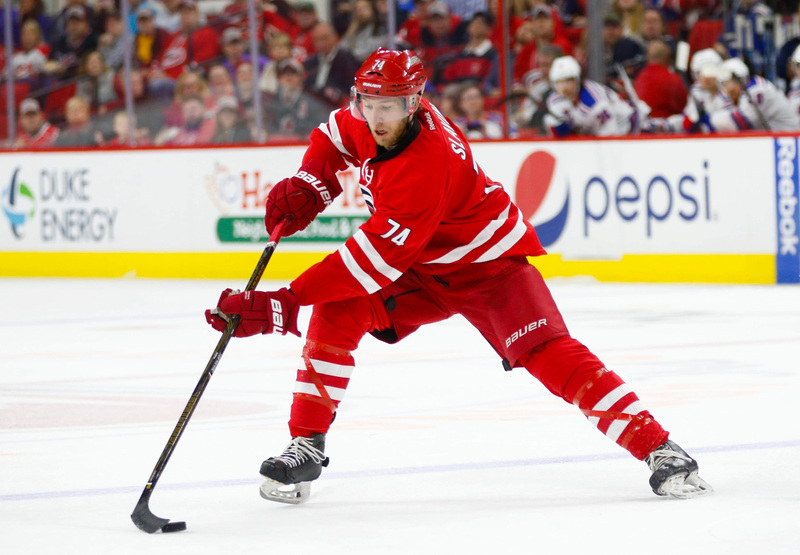 Slavin plays top-pairing minutes for the Hurricanes, and would be a more-than-welcome addition on the Avs’ blueline. He would be able to slot in immediately with Erik Johnson, and would more than secure the future of the blueline for the Avs. However, there are other options available for the Avs. Noah Hanifin is going to be a real good player in the league some day. However, he is still very young, and needs more time to develop. Nonetheless, he jumped in the league at the age of 18, so he has some experience under his belt. I like Slavin more because he’s established and because he is from Colorado, but Hanifin is also a very enticing option. He has a bright future certainly, and he is the type of defenseman that the Avs could build around. He has an all-around game that general managers drool over, and he’s still developing. 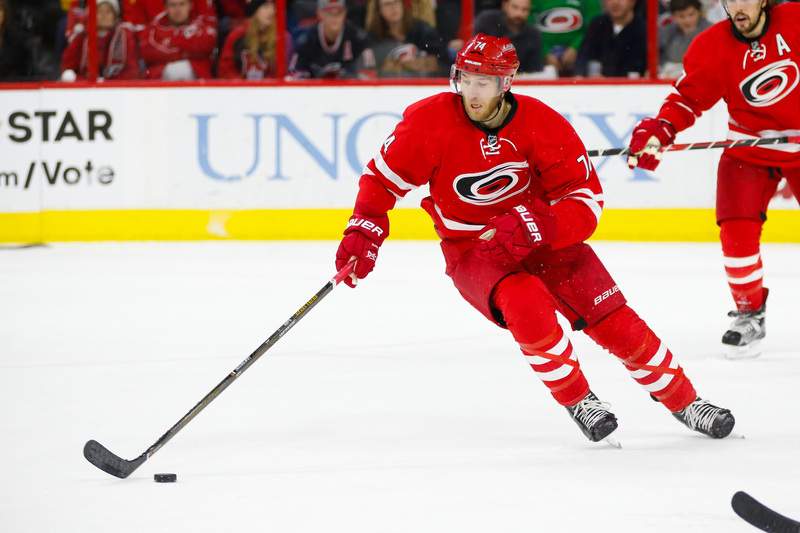 Hanifin could play all types of minutes, and be a catalyst in every situation. However, he would be a tough player for the Avs to acquire because the Hurricanes should by no means trade a player of his caliber unless the return is significant. That’s obviously where Matt Duchene comes into play, but for Hanifin, it might also mean that Chris Bigras’ name has to be included. There is one more Hurricanes’ prospect that the Avs could look at though. Haydn Fleury has not played in an NHL game yet, but he has a lot of potential. He is also billed as a top-pairing defenseman in this league, and he has the intangibles to back it up. He has a high offensive ceiling, but he also uses his big frame — 6’3″ 220 pounds — to create space, and position himself well. Fleury is still very much an unproven prospect though. He was drafted high — seventh overall in 2014 — for a reason, but defensemen take awhile to develop. He might be ready for the NHL next season, but his timetable figures to be a bit longer than that. Nonetheless, acquiring a defenseman with his potential is something the Avs should be looking to do. The Carolina Hurricanes have a wealth of defensive options available for the Avs, and they need a forward badly, so they present the most likely trade partner for the Avs. Nonetheless, constructing a formidable blueline next season will be hard for the Avs if they only trade for prospects. If it’s up to me — and it is on this page — then the Colorado Avalanche go all-out for Jaccob Slavin. They would also trade Tyson Barrie for a top six forward, and wave goodbye to his ineptitude defensively. Ok, so the Avs only draft Timothy Liljegren or Cal Foote if they are able to get another first round pick out of a deal they make involving Barrie or Duchene. If they are able to do that, then they might still be able to draft a player like Owen Tippet, which would help them in the top six. A trade involving Barrie would bring them a top six forward anyway. At this point, the free agent defensemen available is up in the air. However, the Avs would only be looking for a bottom-pairing defenseman, which should not be hard to find in free agency. Maybe Nicolas Meloche is ready for the NHL, but I doubt it, so they may have to fill that hole on the right side as well. There are really too many options available for the Avs via trade in order to construct next season’s blueline with any accuracy. Nonetheless, the Avs have a chance to construct a very formidable top four next season if they make the right moves. Where I’m hitting a snag is along the left side. Both Bigras and Zadorov project as top-four defensemen. So, if the Avs acquire a lefty, then all of the sudden they have depth on the left side. I know I didn’t provide a clear answer, but it’s tough to weave through the obstacles the Avs are faced with. Let me know what you guys think the best choice is for the Colorado Avalanche in the comments.